Scientists in Brazil have discovered seven new species of spiders and named them after characters from literary classics - including Lord Varys from the Game of Thrones and Aragog from the Harry Potter series. The Lord of the Rings, The Silmarillion, H P Lovecraft's The Call of Cthulhu and the children's favourite Charlotte's Web and Little Miss Spider also inspired the names of small cave-dwelling six-eyed spiders inhabiting northern Brazil. The new species, discovered by scientists from Instituto Butantan, Sao Paulo, all belong to the same Neotropical genus Ochyrocera. The list of 'fantasy' spiders begins with Ochyrocera varys named after Lord Varys from George R R Martin's book series A Song of Ice and Fire, which inspired the popular TV series Game of Thrones. Lord Varys is also known as the Spider because of his manipulative skills and ability to 'weave' and command his networks of eyes-and-ears across two continents. Ochyrocera laracna is a species named after the well- known giant spider Laracna (Shelob in English) who attacks main characters Frodo and Sam on their way to Mordor in The Lord of the Rings' second volume - The Two Towers. On the other hand, the Brazilian spider's sibling - Ochyrocera ungoliant - is linked to Laracna's mother. Ungoliant appears in Tolkien's book The Silmarillion, whose events take place prior to those of The Lord of the Rings' second volume The Two Towers. According to the story, Ungoliant translates to Dark Spider in Elvish. The authors do not fail to pay tribute to much less violent spiders known from popular children books. David Kirk's Little Miss Spider inspires the name of Ochyrocera misspider. 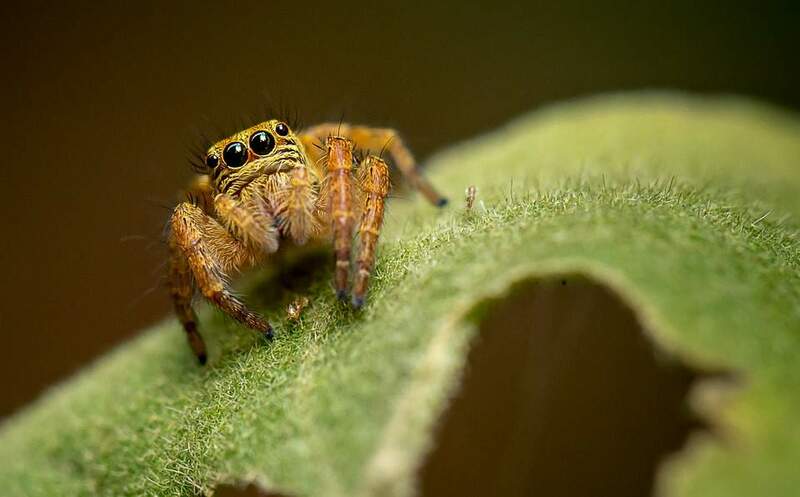 The Ochyrocera charlotte species refers to Charlotte, the spider from E B White's classic Charlotte's Web who befriends the main character - Wilbur the pig.